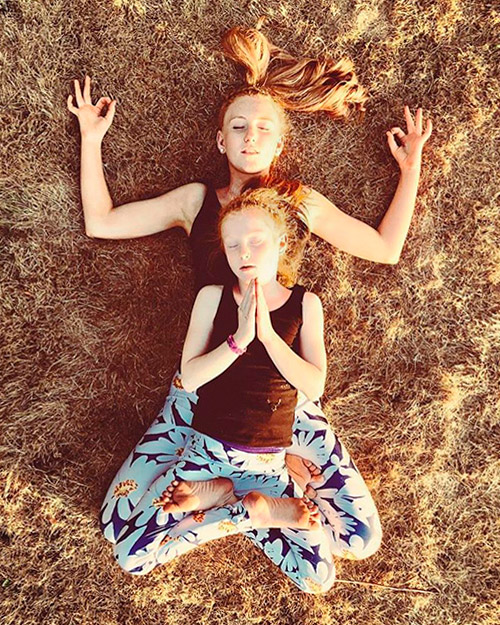 Finding your zen as a busy mom might be part of your daily or at least weekly routine (that is, when you can find a sitter to take care of the kids while you do your yoga class) but did you know - you can actually take your kids with you to your next yoga class and have them join in? It’ll save you time and money, of course, but more importantly it will give you two something you can do together for life. It’ll instill a lifelong practice of staying active, stretching and staying flexible for your daughter as she grows. At their earliest ages, kids are sponges and parrots. They repeat and imitate everything they see and hear - and then they absorb it. Get them used to seeing yoga poses from young ages so that they naturally gravitate towards wanting to learn more about it. It will be a much easier transition than if they never saw you do a pose and then try to learn how to do yoga poses without practice or exposure to it. Your kids are your little apprentices - don’t hit them with the super advanced poses. Give them a few simple ones to do like boat pose, downward dog, child’s pose, or the table pose. 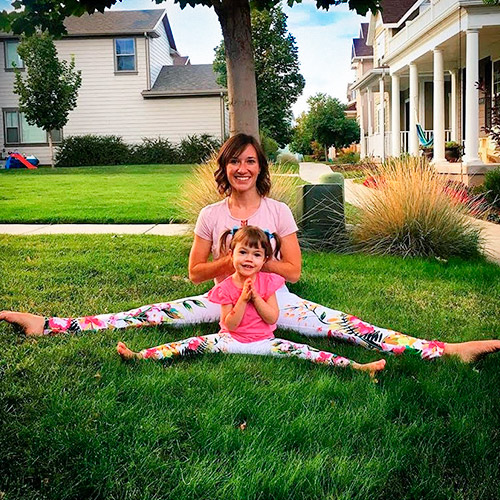 Kids love animals and if you tell them you’re about to do a downward dog or a dolphin pose, mantis pose, or any other animal, there’s a high chance your child will be more than excited to jump in and learn! Yoga is inherently fun, but if you focus too much on holding perfect poses and forms, it can become as tedious as homework for children. Be sure to keep the mood lighthearted and fun throughout the session. Crack a joke or two in between teaching them poses. Ideally, your yoga class or your location for doing yogais somewhere outdoors, sunny and beautiful to keep your kids in the moment. 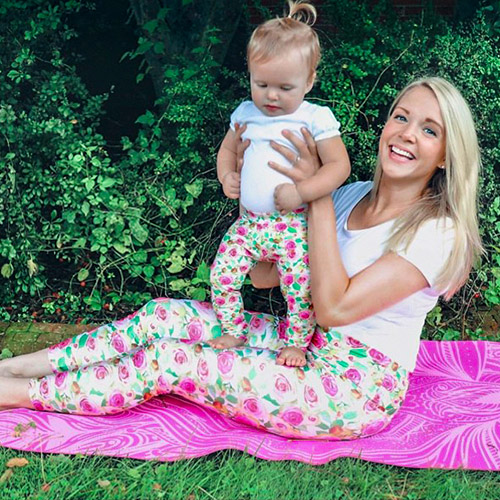 Also, making an outing out of it can help - rocking mommy and me leggings or yoga outfits can help make it an exciting, twinning activity! 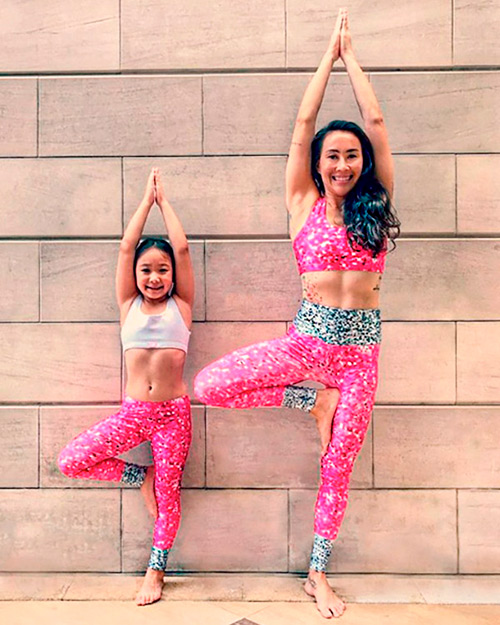 Yoga with your kids is a spectacular way for you two to bond and establish traditions that can last you two a lifetime! Yoga with kids gets more and more fun you do it. At first they`ll be slowly learning and watching, making some mistakes with poses ot goofing off here and there. But the longer they do it, the more they will master it. They`ll start picking up on the poses and soon, they'll have a whole yoga routine for you two to do! Once they`ve got the poses down, let them choose the poses and enjpy as your minimi becomes your instructor.